This is a very unusual one which I acquired in October 2016. 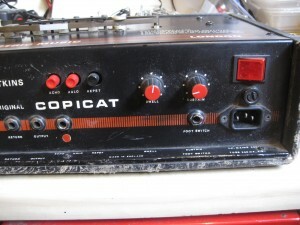 The top section looks a bit like an IC400 Varispeed but the control panel is on the front rather than on the top and there is no Varispeed control on this unit. 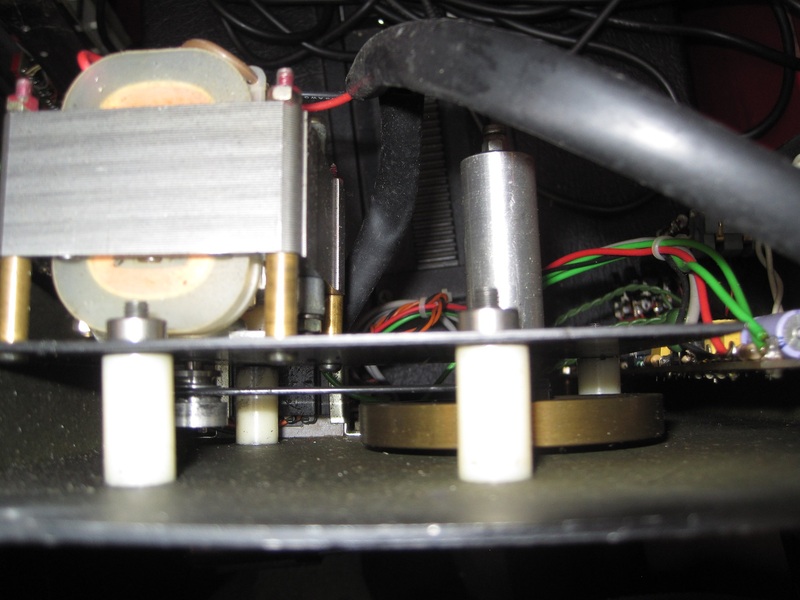 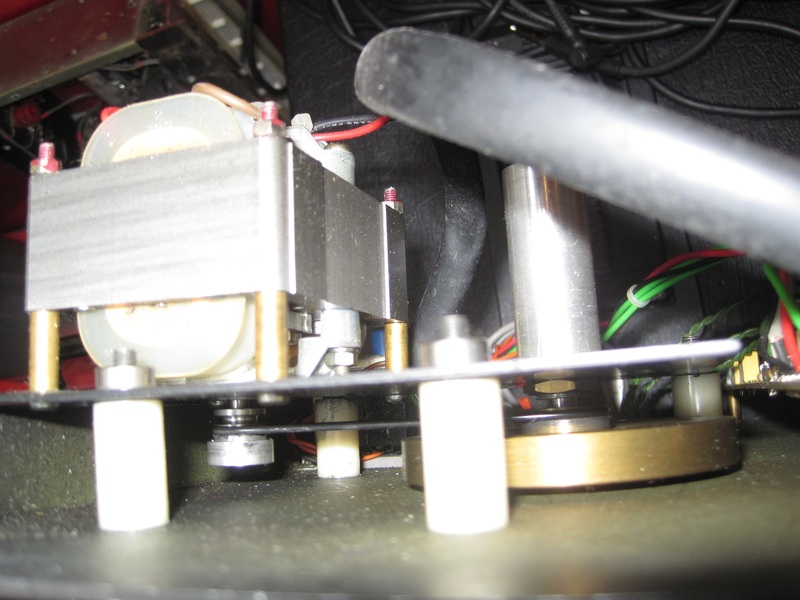 The internal pictures seem to indicate that the motor is a 240v AC motor rather than the DC motor used on IC400s. 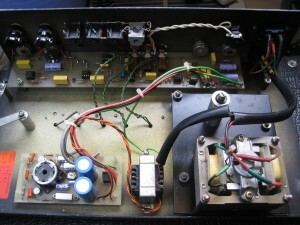 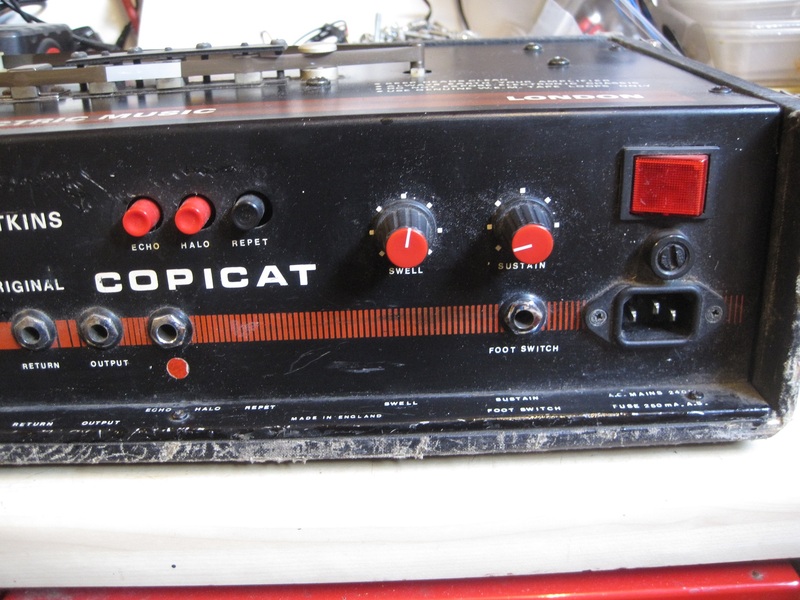 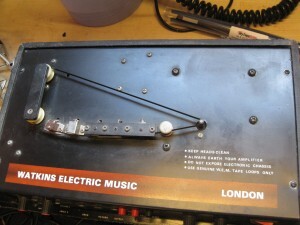 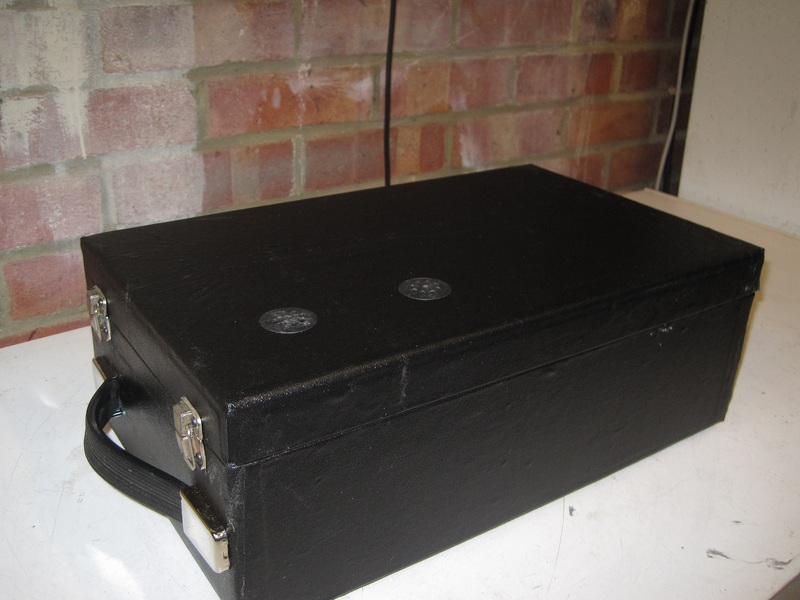 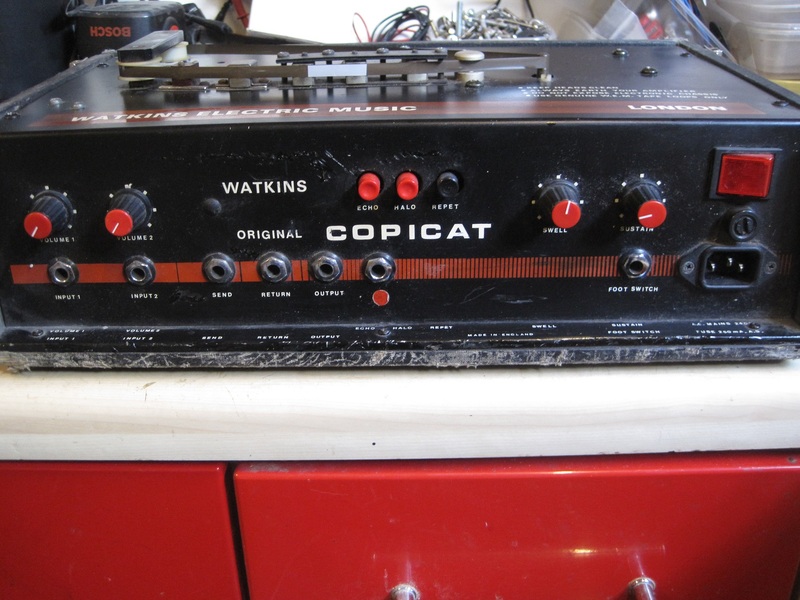 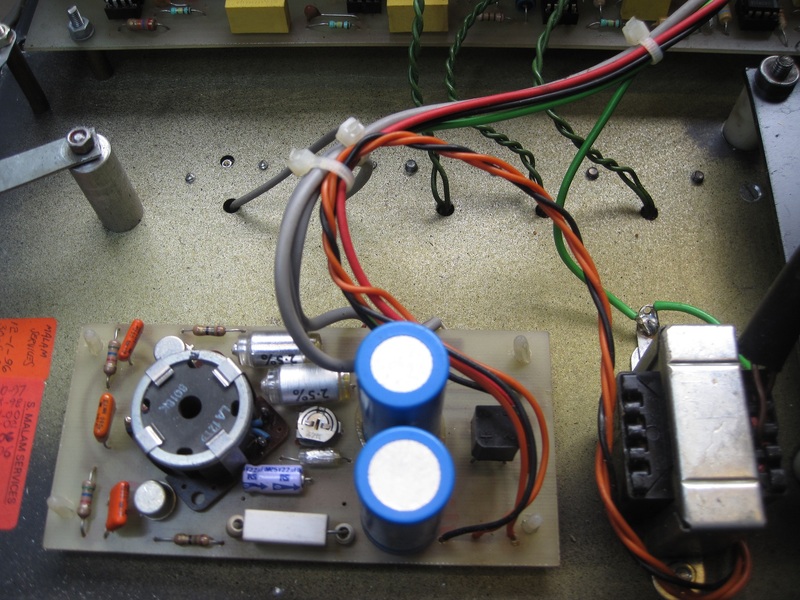 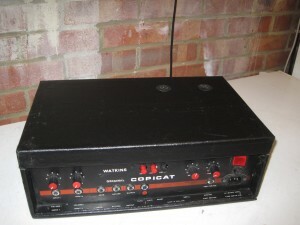 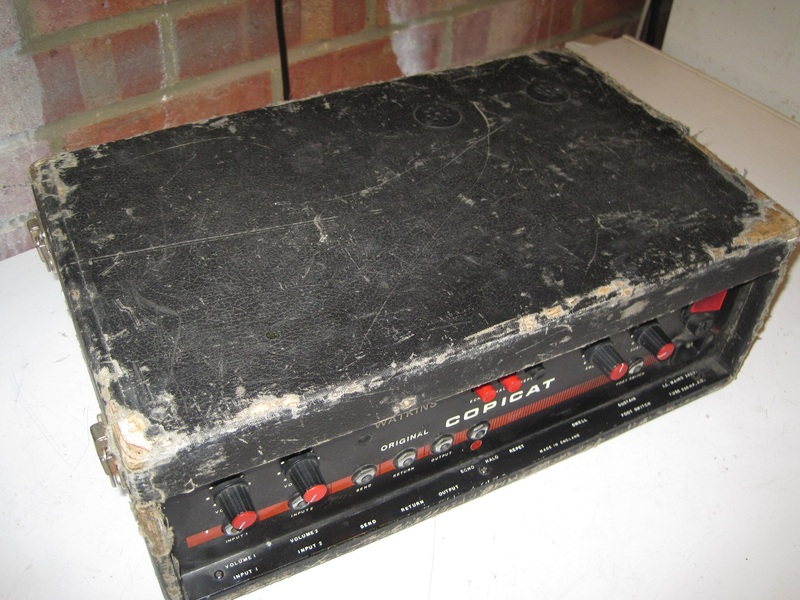 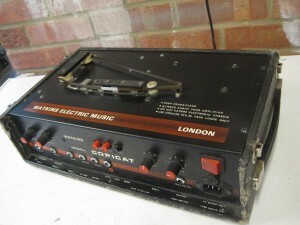 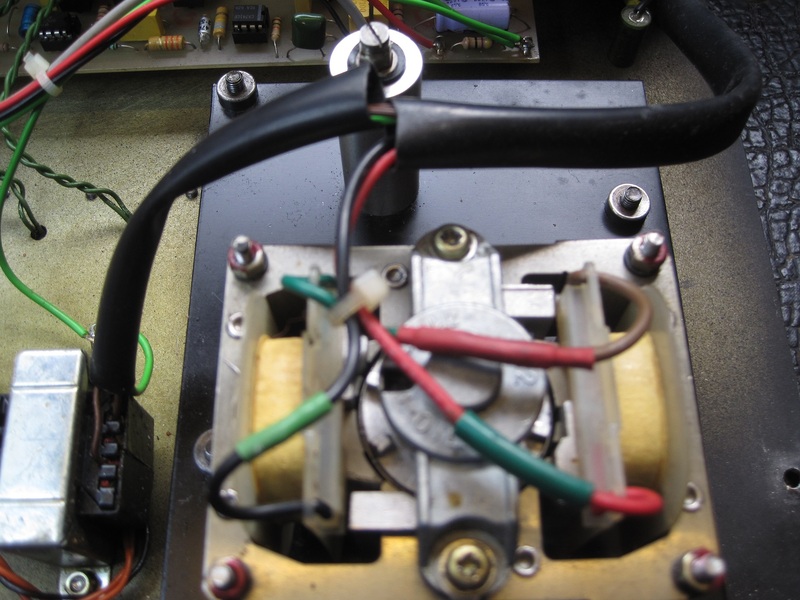 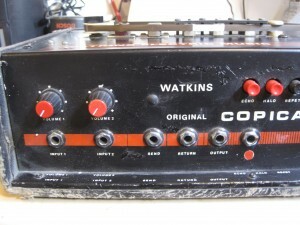 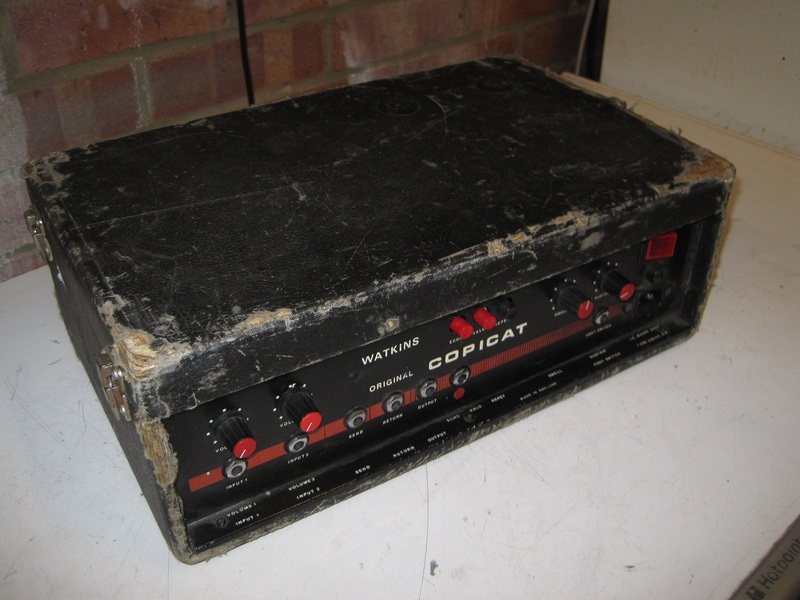 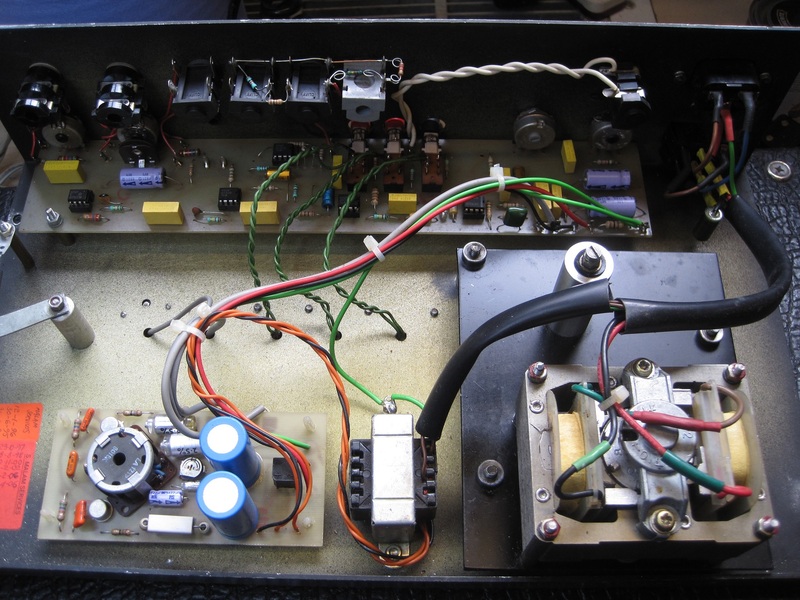 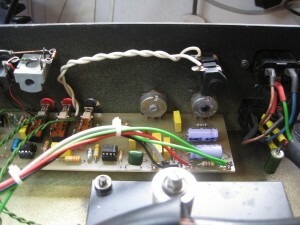 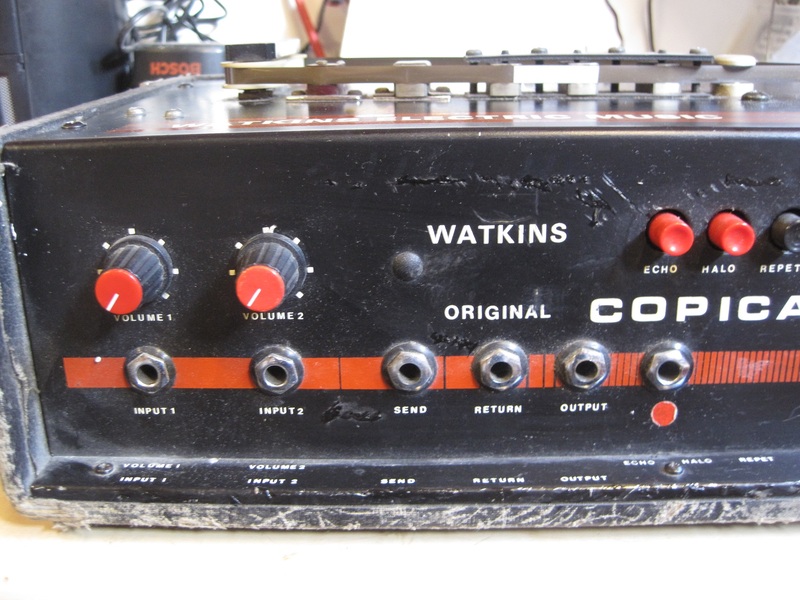 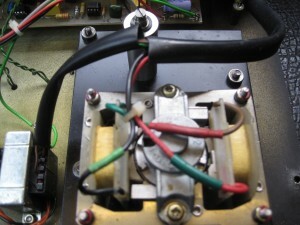 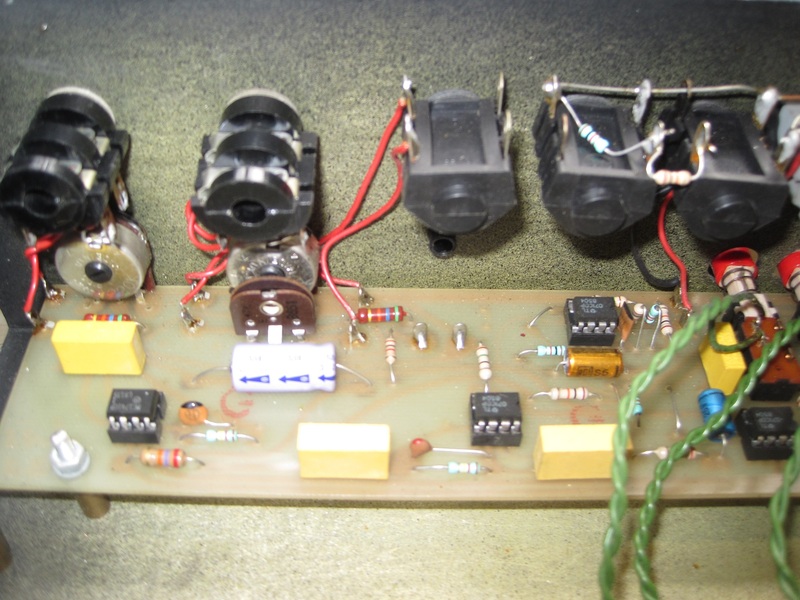 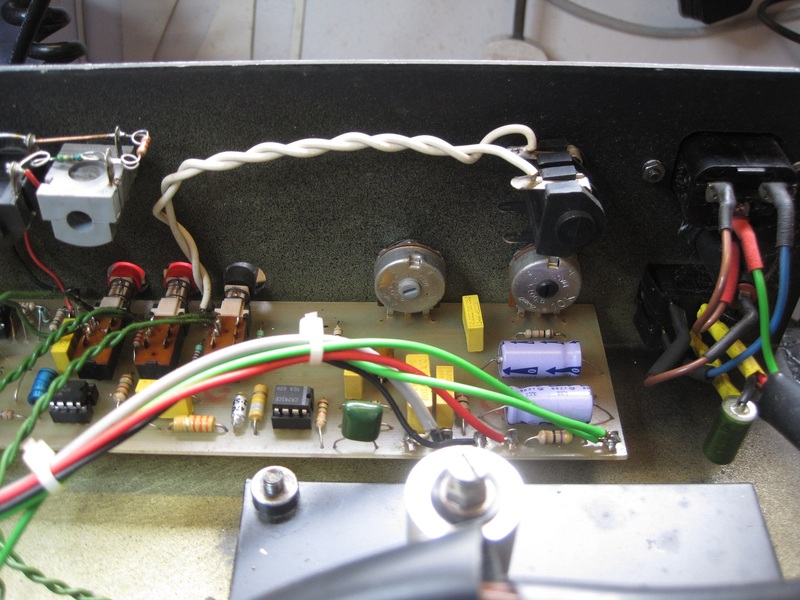 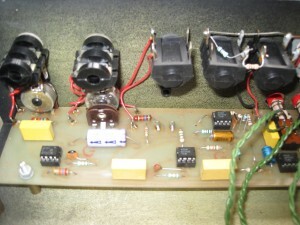 I contacted John Beer, the world’s leading expert on Copicats, at Amp-Fix about this one and his view was that it is probably a predecessor to the IC400. 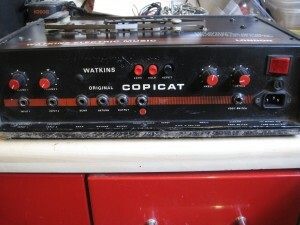 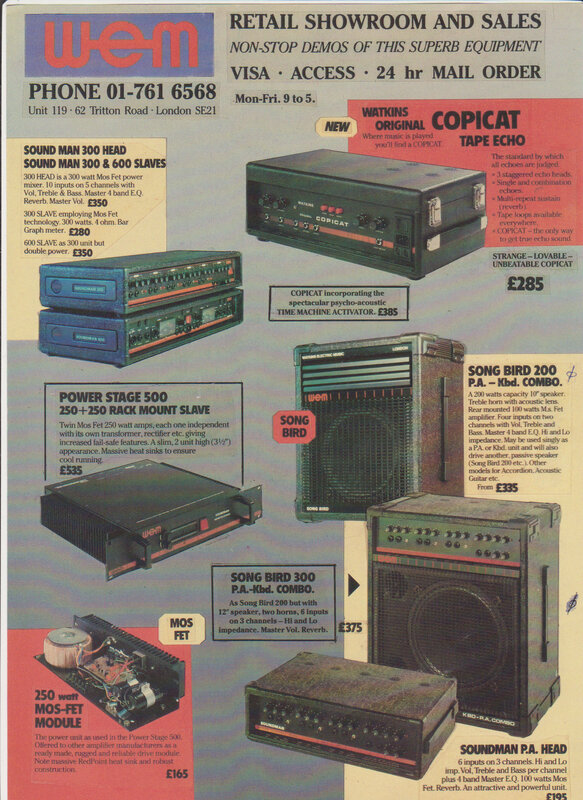 He had seen one before and he believes there were only about 50 of this particular model made. As you can see from the first pics, the casing was very tatty when I got it so I recovered the casing with black rexine and I’ve added some “after” pics at the bottom. 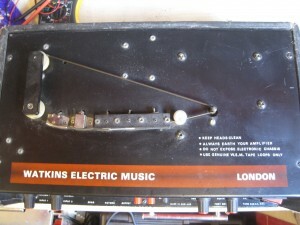 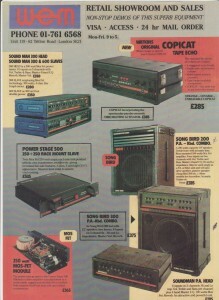 If anyone reading this knows any more about the history of this model, please drop me an email and I will add it to this section.